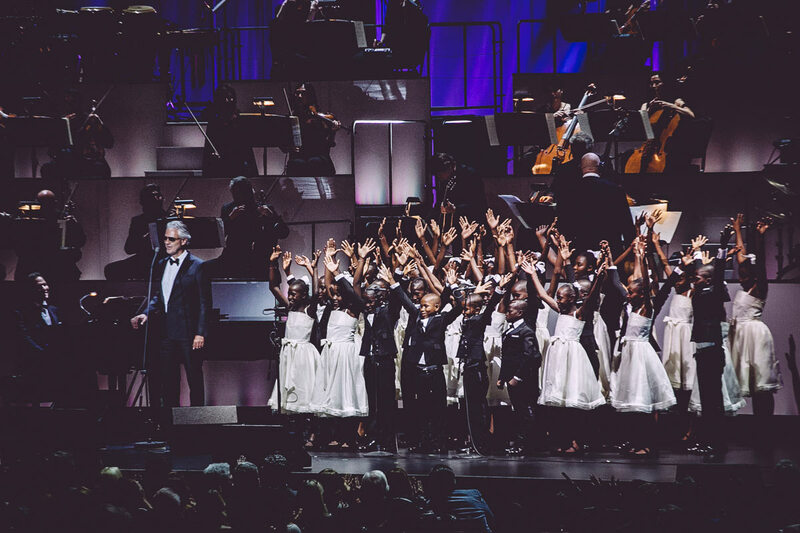 The Choir composed of sixty Haitian children, the beneficiaries of the Andrea Bocelli Foundation” and “Fondation St Luc” project took part to the recording of the new album of unreleased songs “Sì” out on October 26th. Creating growth and empowering opportunities: ABF’s Mission finds a further concrete application within the new unreleased album by Andrea Bocelli, out on October 26th. A very special participation, that of the choir “Voices of Haiti”, the expression of one of the projects that the Andrea Bocelli Foundation has created in Haiti with its local partner Fondation St Luc. The choir is composed of 60 Haitian children aged between 9 and 15 years coming from the most vulnerable areas of Port au Prince. Many of them live in the Cité Soleil, the biggest slum of the Capital. Thanks to music they have had the chance to get away from violence and poverty by working hard on their own potential. In fact with determination, tenacity and discipline, they have all embarked on a journey of structured studies. Their participation in the CD comes after a few important international performances alongside Maestro Bocelli (from the United Nations to the Teatro del Silenzio, from the Lincoln Center Global Exchange to the general audience with Pope Francis) and comes from the desire of Maestro Bocelli and ABF to give a voice and opportunities to these young singers as the full expression of the Mission of the Foundation: Empowering people and communities. By working on one’s talent, creating opportunities for growth and education for individuals, extremely valuable opportunities are created for the whole community. Voices of Haiti is an extraordinary exercise in discipline and team building and an in-depth work on self-awareness and one’s own potential. The “voices of Haiti” will resonate in 2 tracks of the new album: “Dormi Dormi” and “Gloria gift of love”. The project is the result of a musical educational project launched within the schools built in Haiti by ABF together with its local partner Fondation Saint Luc, which involved 12,000 children, from whom the 60 choir singers were selected. In this Caribbean country, ABF works every day to create opportunities of empowerment and talent development. In the schools established since 2012, every day around 3,000 students have free access to education, they receive vaccines and medical treatment for themselves and their families on a regular basis. Furthermore families also receive training on hygiene, disease prevention such as cholera and HIV, agriculture and activities that can improve their personal and social life. Schools are a reference point in the communities and most of them are located in the most remote areas of the island.